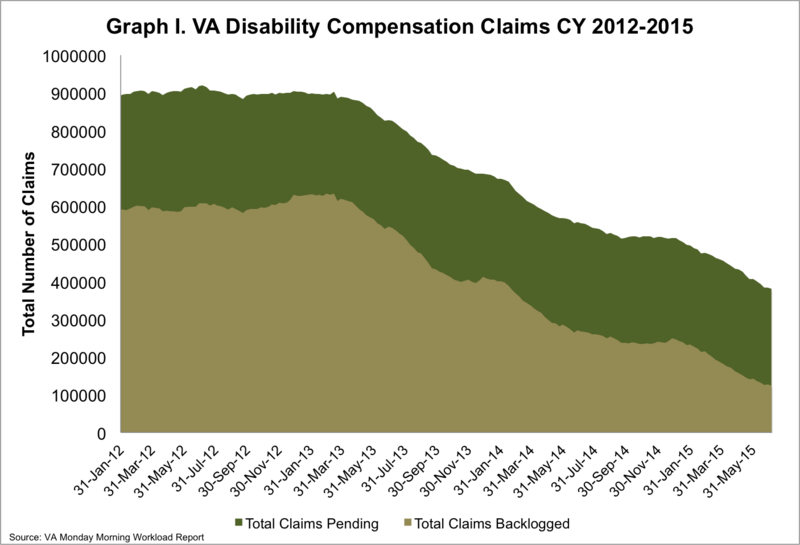 On Monday, the VA reported that the disability compensation claims backlog decreased by more than 3,600 claims since last week. There are currently more than 123,000 backlogged claims, defined as claims pending more than 125 days for a decision. The total number of pending claims has decreased by more than 2,000 since last week; more than 380,000 claims are pending at the VA.
To eliminate the VA backlog by the end of FY 2015, the VA must reduce the number of backlogged claims by about 2,900 per week. 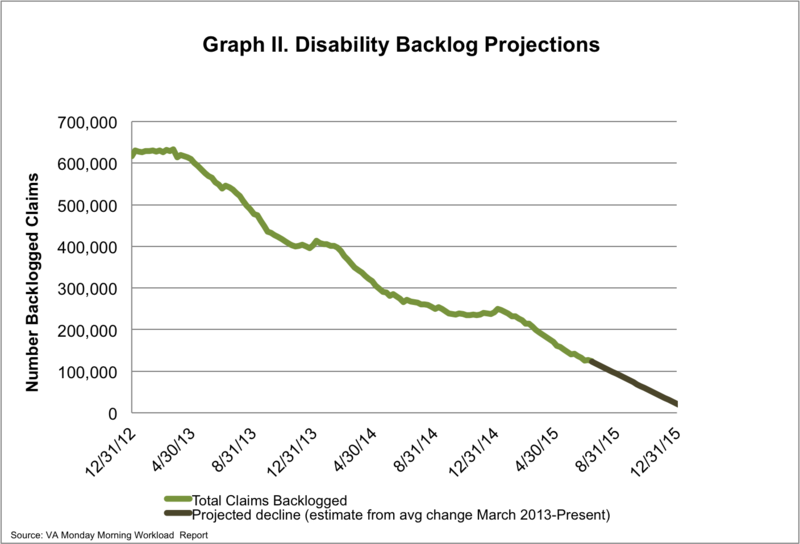 Since March of 2013, the backlog has been reduced by more than 80%, with about 4,200 claims processed weekly. However many veterans continue to wait for pending appeals. 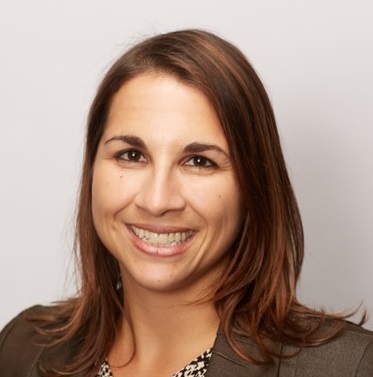 Appeals can take on average four years before a final decision is reached. 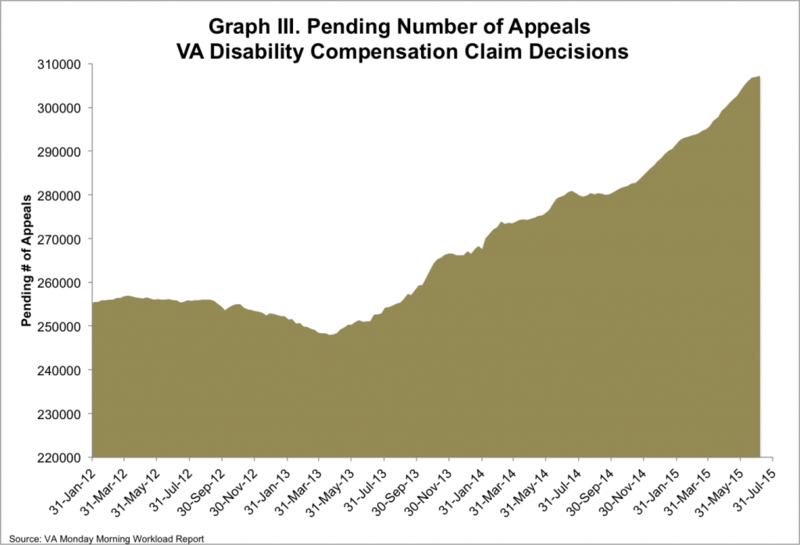 There are currently almost 308,000 appeals pending at the VA and these numbers continue to rise.